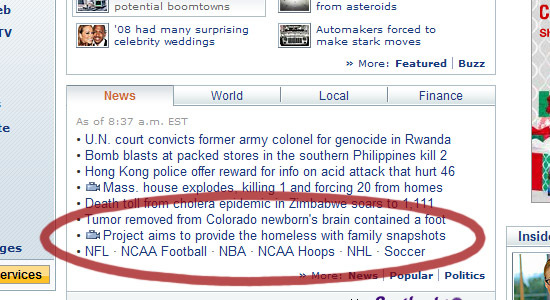 Check out this headline on Yahoo! today. Where are these homeless people supposed to hang their family pictures? On their walls? Shouldn't these people who are trying to help the homeless try to find them homes instead?